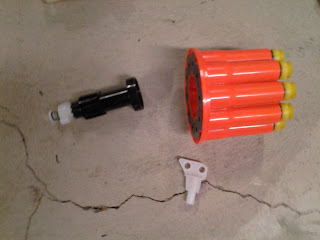 While Hasbro has made great blasters both with plungers and flywheels as of late, the one thing missing is air power. 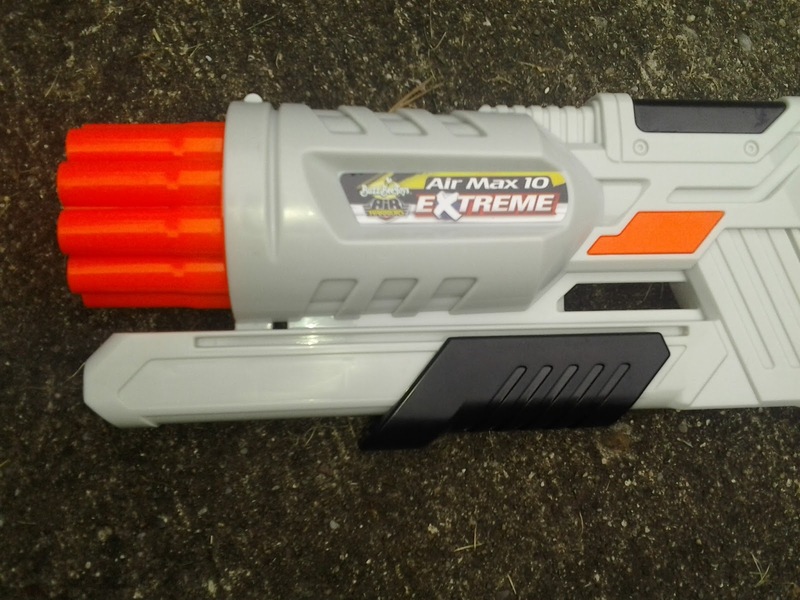 With the exception of the Unity Power System at ToysRUS, there are no Nerf air blasters on shelves, and certainly none like the classics (Air Tech series, Splitfire, Supermaxx, etc) that are still used in the Nerf community. 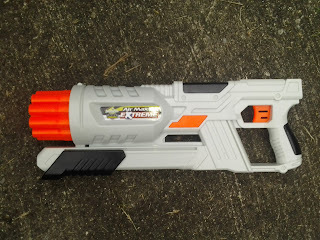 Buzz Bee, meanwhile, has done the opposite and made the EXTREME air blaster series the flagship of the new fleet. After the respectable Panther and Range Master from last year, the Air Max 1 (Panther reshell), 6, and 10 on store shelves. Are these blasters good enough to replace the blasters of old in our collections? Read on! The Air Max 10 has several things going for it, as far as air blasters are concerned. The large turret is stable, and rotates consistently. 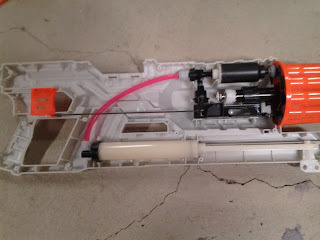 The pump has a simply MASSIVE draw, allowing fewer pumps overall to prime the blaster. The trigger controls both the turret rotation and tank firing (in that order), expanding the possibilities for modification to include semiautomatic firing (if you have an external air tank or bladder connected). Before discussing ranges, let's open her up, shall we? In addition to the screws, there are black snap-in pieces at the top and on the handle. Once you remove those, the shell comes apart easily. The Air Max 10 is powered by a backpressure tank, just like the Nerf Hornet, Lanard Big Salvo, and the Buzz Bee Panther. Filling the tank with air pushes a piston forward, sealing off the outlet. When the trigger is pulled, a small valve is opened to vent the small volume of air behind the piston, allowing the air tank pressure to force the piston back. That opens the outlet, and the tank fires the rest of the air forward. Here's the tank compared to a Hornet - they are almost the same size. The tank is also half the size of the original Panther tanks - same diameter, just shorter in length. The pump has several inches of draw to allow fast filling. 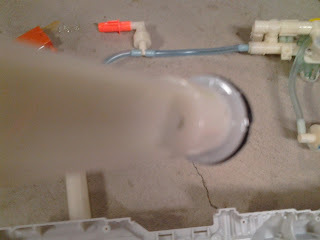 There is, in fact, an overpressure valve on the pump head. 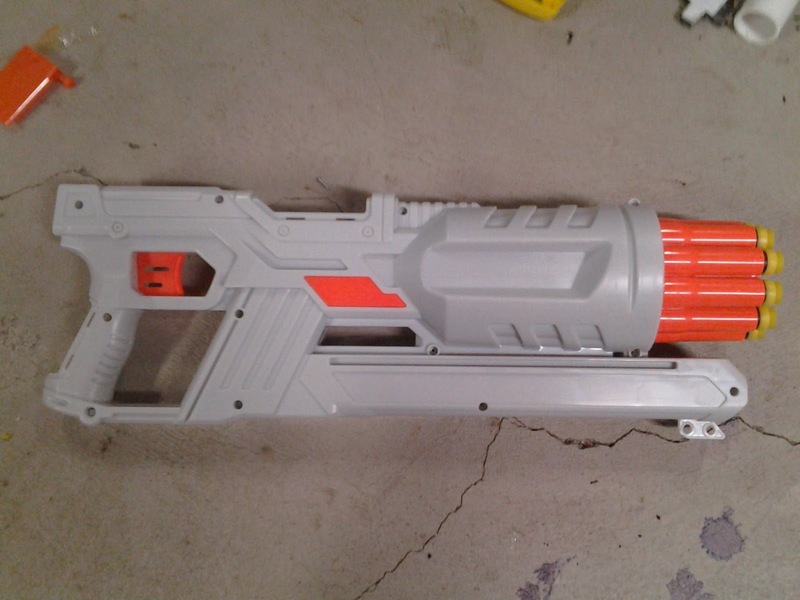 You can see the tiny air release hole on the back of the pump head here. 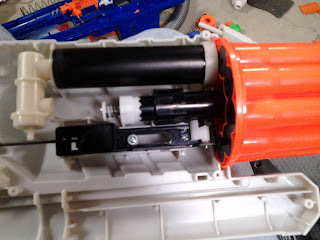 The turret is easy to disassemble, considering none of the parts are screwed together. They all slide together in various slots on the turret and shell. At least that part is done, should you desire to rebarrel the blaster. Ranges, you ask? 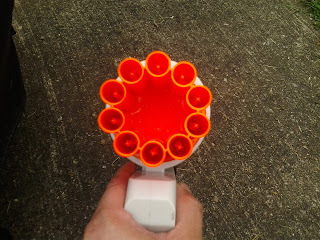 Well, with 3 pumps, I'm hitting 40+ feet flat with the included EXTREME darts, and Elite ranges with an angle. 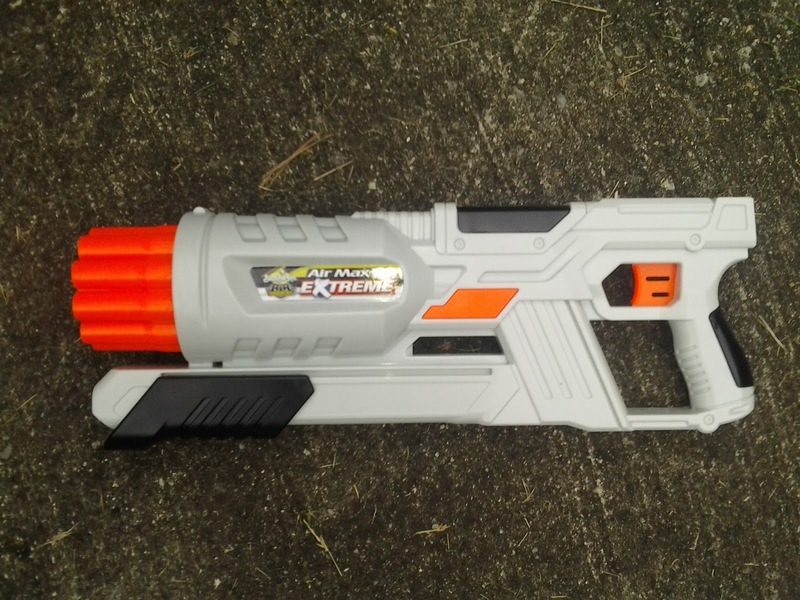 Buzz Bee seems to have a competitive product line this fall, even with Nerf's Nstrike Elite being a major performance upgrade over the previous blaster generation. I'm not sure how much range a rebarreling will add. In addition, plugging the pump isn't ideal, since you need only a few pumps to begin with. No need to blow your tank apart! 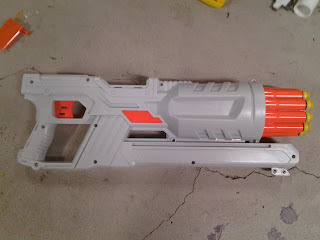 So for the casual Nerfer, this blaster is plenty good as is. More experienced modders can try expanding the tank for more volume, of course. Semi auto mod? Would that be possible? How and when does the turret rotate, with a trigger squeeze or on the first pump? The turret rotates on the trigger squeeze - the first half of the trigger pull does the rotation, and then you hit the blast button at the end of the trigger pull. 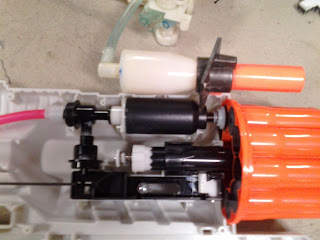 As long as you have a small push valve between your air source and the tank/blast button, you could hook it up to the trigger to cut off the air supply before you fire, then turn it on again after releasing the trigger. Sounds a little complex but I bet I could figure it out! Thanks! Good article, thank you for sharing! Blazin Bow Review, Thoughts, and Modifications!